Fishing together for 20 years! Value is the measure of the quality of services and experiences you receive for the money you spend. 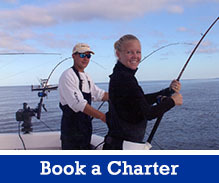 When you fish with Reel Action Charters, you are fishing with finest charter operation on Lake Michigan and Green Bay. It’s impossible to get more for your money or your time. It’s a bold claim, but out boats and gear, our captains and crew, and our experience and success all back it up. 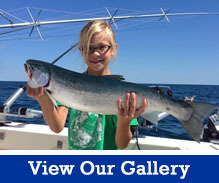 BOATS & EQUIPMENT – Reel Action Lake Michigan Boats are state of the art big water fishing platforms – the kind most often associated with big game fishing on the ocean. 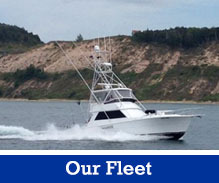 Our anglers fish from 48-foot, 41-foot, and 35-foot Viking yachts. These are big, ultra-seaworthy craft that allow you to fish safely and comfortably in conditions that keep most others in the harbor. Nothing compares to fishing from these big boats. They are engineered for three things – safety, comfort, and catching fish. Yes, they are expensive to buy, dock, maintain, and operate. But they are the best, safest, most comfortable way to catch fish on big water, so in the end they provide you maximum value. We know you work hard for your money. We know your vacation time is precious. We understand you’re looking for value. Most importantly, Reel Action Charters promises you will find it when you book your Lake Michigan or Green Bay fishing adventure with us. Call Captain Scott Gutschow right now at 920-360-2136 and book with Reel Action to get the best true fishing value in Door County, Wisconsin.